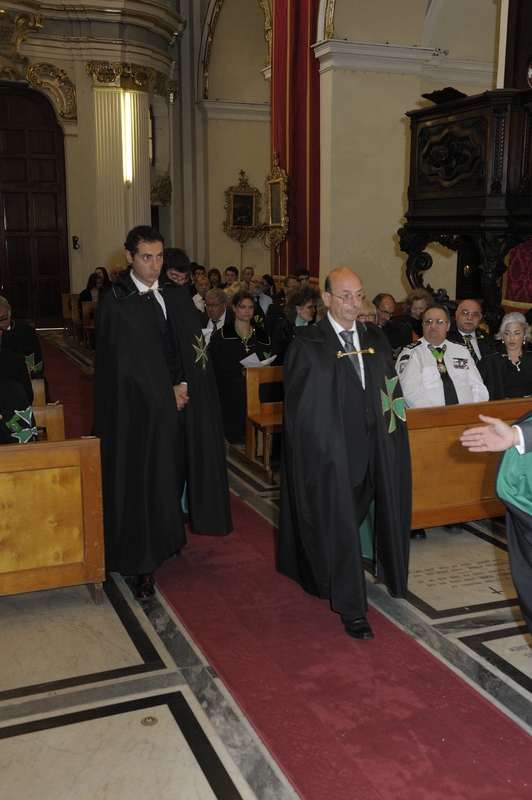 High Officers from the Supreme Grand Priory of the Order of Saint Lazarus, led by H.E. Richard Comyns of Ludston GCLJ GCMLJ, the Supreme Grand Prior of the Order, accompanied by the Grand Chancellor of the Order, Chev. Massimo Ellul GCLJ GCMLJ, the Grand Secretary of the Order, Chev. Robin Slack GCLJ KMLJ and the Grand Marshal of the Order, Chev. 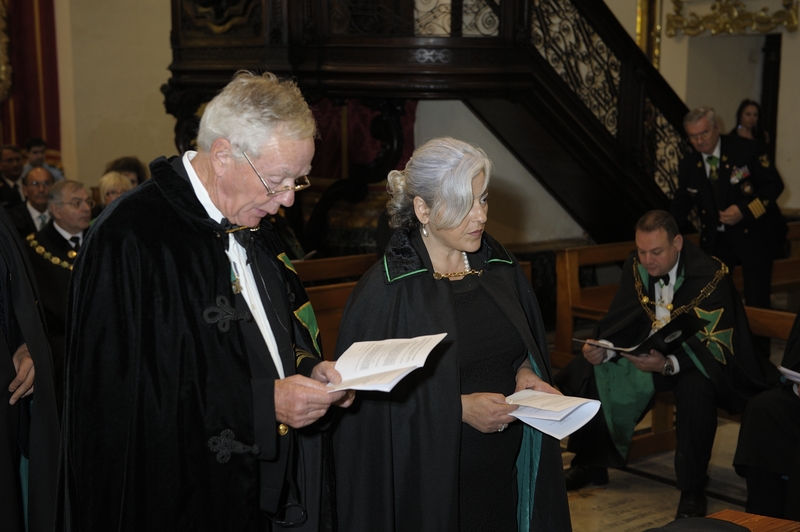 Stephen Groeneweld GCLJ GCMLJ, officially appointed the new Grand Prior of Sicily in an investiture held in the Franciscan church dedicated to Saint Joseph in May 2014. 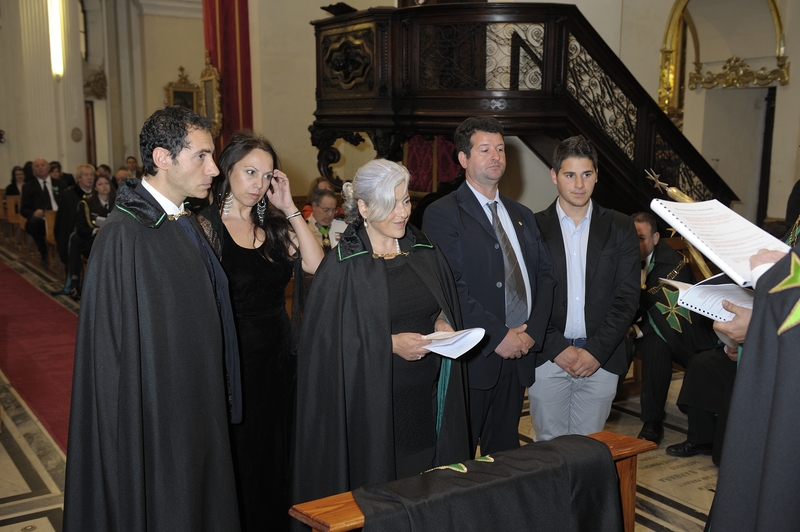 Additionally, a number of postulants were admitted into the Grand Priory of Sicily and Confrere Alessandro Bellomo was promoted to Commander of the Order (CLJ). 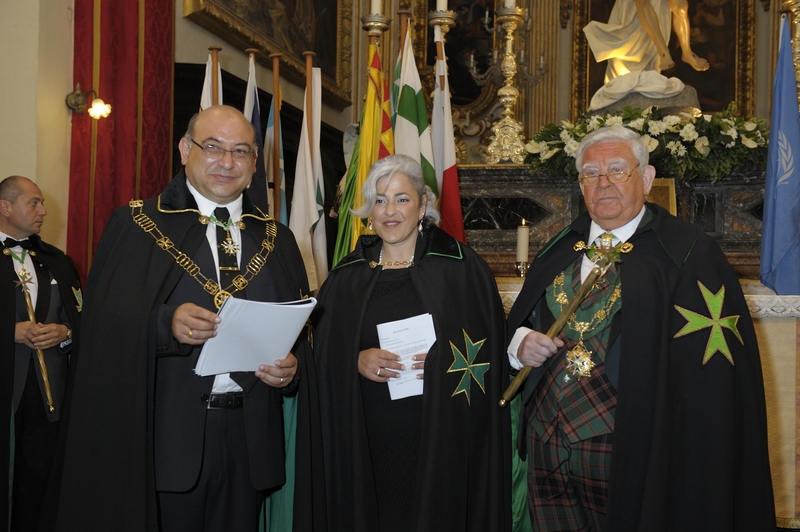 Dame Barbara Marino DLJ has been very active throughout these last two years within the Grand Priory in question and was indeed the moving force behind the establishment of the registered Foundation 'Ausilio Verde' which represents the charitable arm of the Grand Priory within Sicily. 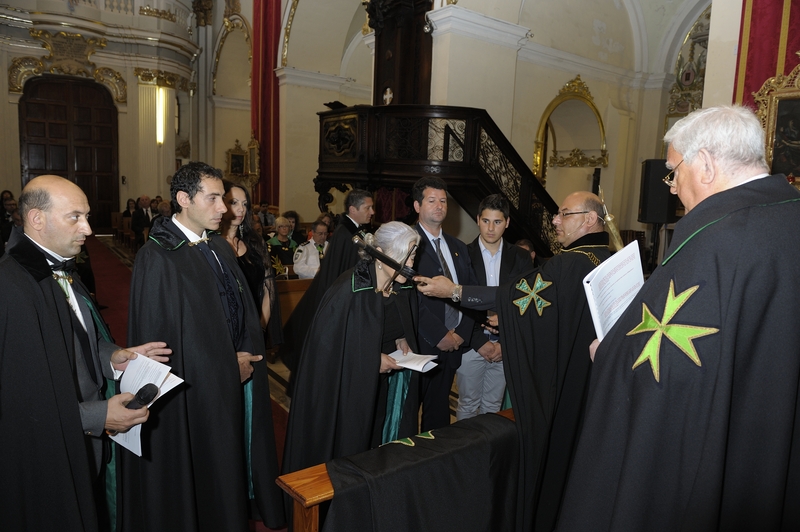 Dame Marino was therefore responsible for the overseeing and managing of the Grand Priory's team of forty volunteers who form part of the Association and who regularly operate Hospitaller and philanthropic initiatives within Sicily. 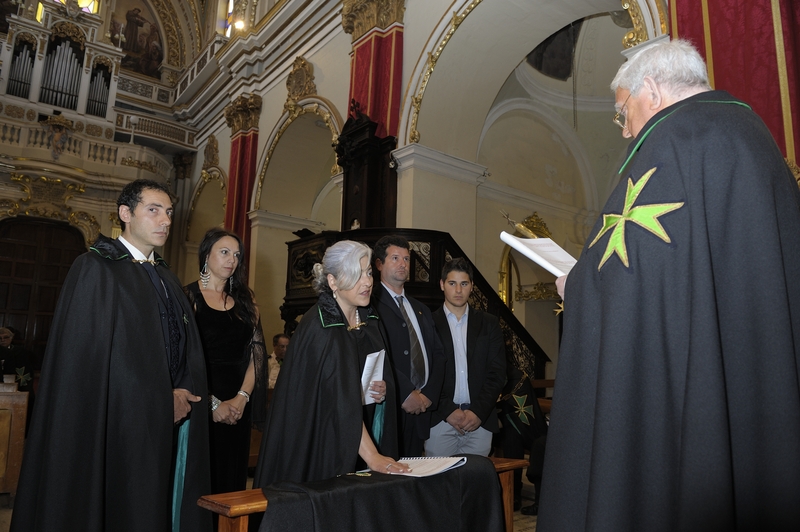 The consecration and appointment of Dame Barbara Marino as the new Grand Prior of Sicily further underlines the role of female Lazarite activists within the Order being promoted to the highest positions of authority worldwide, thus ensuring equal gender promotion in a chivalric organisation which, although emulating the medieval traditions of the Order of Saint Lazarus, fully understands the need to be in touch and also be a leader in the voluntary norms and practices of the twenty first century. The congregation saluted the new Grand Prior with a standing ovation and the Supreme Grand Prior of the Order heartily thanked her for her professional work during these last years, ensuring a proper transition from the previously expelled Grand Prior of Sicily, whose actions brought disrepute to himself and threatened the harmony of the Order within the jurisdiction. 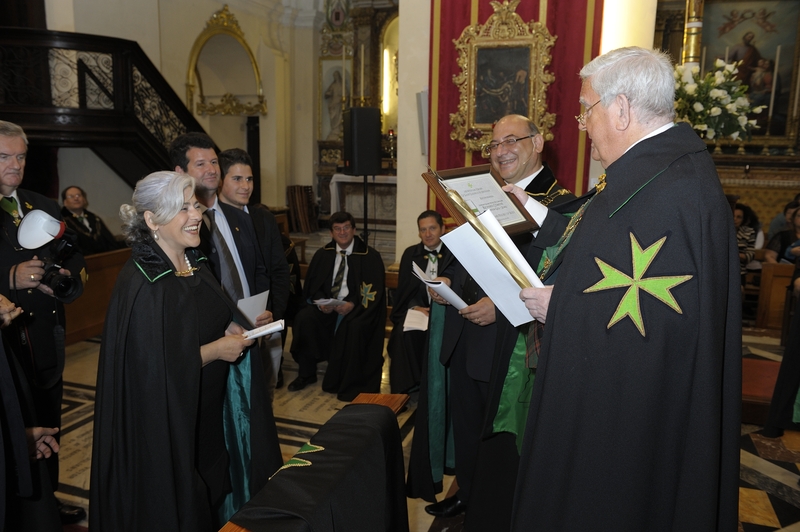 The Supreme Grand Priory noted the total backing that Dame Barbara Marino has from all its members within the Grand Priory of Sicily and promised all the aid and assistance needed from the Supreme Grand Priory to ensure that the Hospitaller works in this Mediterranean island continue undisturbed.